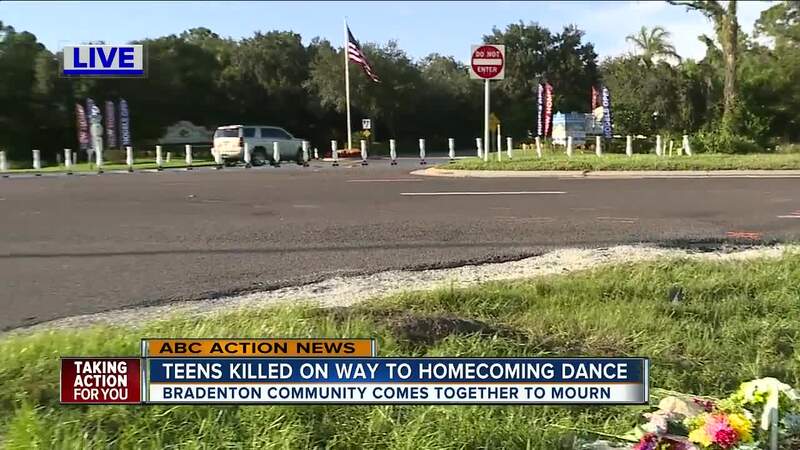 Bradenton is mourning two teens killed in a tragic accident over the weekend. 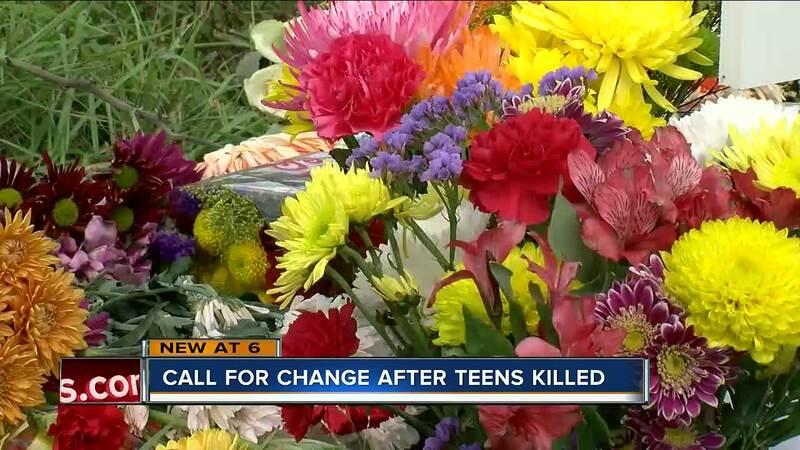 BRADENTON, Fla. -- Bradenton is mourning two teens killed in a tragic accident over the weekend. And a second family is holding to every moment as a 12-year-old girl is fighting for her life after the deadly crash. Florida Highway Patrol reports the crash happening around 7:38 p.m. Saturday, at the intersection of State Road 64 and Pope Road. Traffic patrolmen who frequently watch these roads tell ABC Action News it’s a notoriously busy road with many accidents. ABC Action News arrived to the accident scene to find a memorial already propped up, next to extensive damage and debris left behind by the accident. Almost exactly at Pope Road and SR 64, you can find a light pole completely ripped from it’s base, a mud pit where the teens’ car came to a rest and other unidentifiable debris that likely came from the two vehicles colliding. “They were great kids,” Emma Macri , a teen who stopped by the memorial said. Macri, just one of dozens seen saying their goodbyes to the boys along SR 64. Matt Powers, 15-years-old and Chase Coyner, 17-years-old were in a Honda when they turned left on to Pope Road. 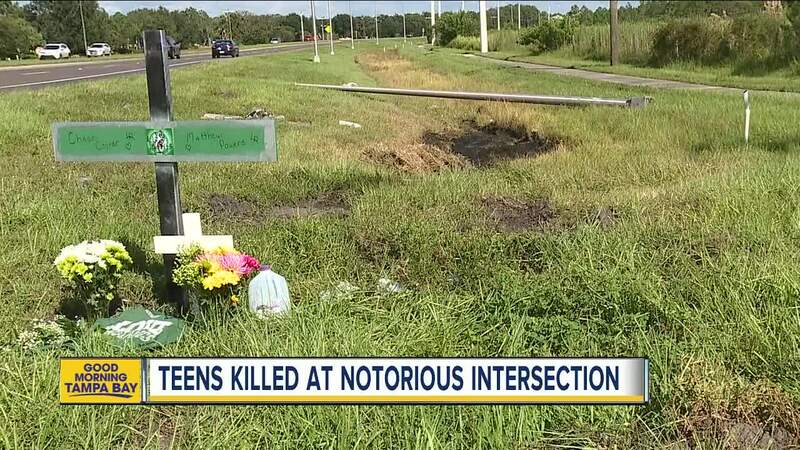 FHP reports in was a legal left turn and tragic accident that led the teens across SR 64 and into the path of another family. Off camera, family tells ABC Action News 12-year-old Ayla Gross and her father, Dallas were in the Dodge Ram that collided with the teens. Ayla was ejected from the vehicle and is in critical condition, while her father has minor injuries, according to troopers. “The fact that lives were lost is something you can never take back,” Macri said. “Hello to all of you in Mustang Bandland. I apologize for the late post. It is with a very heavy heart and with the blessing of the family that I must announce the passing of Sophomore Clarinet Matt Powers. His life was taken in an automobile accident on SR 64 and Pope earlier this evening that also claimed the life of his friend Lakewood Ranch senior Chase Coyner. I am humbled and honored that the family chose us to respect his memory. I am humbled and honored to have spent countless days and hours watching Matt grow (not only as a musician but as a young man and in height - about 6 inches in a year!). I am humbled and honored because his dad told me tonight that band was the one thing that truly made Matt happy. I Love You All; Students, Parents, and Alumni. Our Band Family is special, it is real and it is yours. There is no way to explain the feelings that will rush over us and through YOU in the coming days. There will be counselors and support structures in place when we get to school Monday to assist with our grief. The Band Room will be open to you. It is your home and a place where you can be safe. The Mustang Band Family will be strong for the Powers family. We will support them and love them, and when the time comes, we will take part in his memorial. Please stay connected as those details become available. Please join in a collective prayer for comfort and peace. Please hold on to each other tighter than ever because Matt Powers would want that. He loved being a Mustang Band Kid! If you need anything, contact me at lambert@manateeschools.net . I am staying connected to Mr. Powers and am taking his lead throughout the coming days. Our outward actions will take place accordingly. 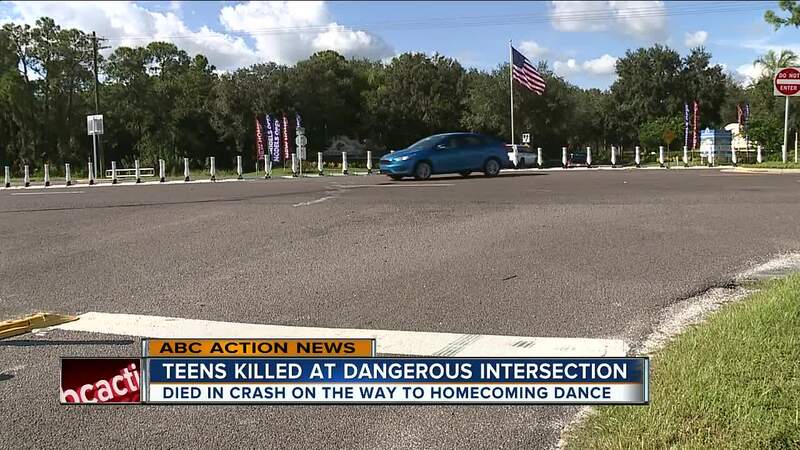 Strangers and parents who did not know the teens stopped by to express their sorrow and explained to ABC Action News how busy and dangerous they believe the intersection is. “It’s horrible,” said Cora Hoffman, a mother of a 15 and 16 year old. We looked up to see just how many accidents or crashes have happened at SR 64 and Pope Road. According to Florida’s Integrated Report Exchange System, there have been 10 crashes at this location in the past year. Many of the incidents include injuries. “Something needs to be done about this intersection in particular,” Hoffman added. The Florida Department of Transportation most recently improved this intersection, implementing ‘right turns only’ onto the highway. In April, FDOT also announced an ‘ultimate improvement’ of a roundabout to be constructed in 2023. An FDOT spokesperson said the timeline could be moved up as a result of this latest accident, but it won't be done this month. "It has to be designed, we have to make sure that we have all the right of ways and then there is the construction process, it’s not something that can be done tomorrow," said FDOT spokesperson Zach Burch. Parents and teens say, it may help prevent future accidents, but comes to late for the three families torn apart this weekend. “It’s not the first and I can pretty much guarantee it’s not the last in front of Greyhawk Landing,” Macri said. Bands of Lakewood Ranch High School posted on Facebook, inviting staff and students to wear Hawaiian shirts this coming Friday in honor of the teens.